SVN Rock Advisors Inc., Brokerage is a Commercial Real Estate firm, specializing in rental apartments, new apartment construction, and student housing. SVN Rock Advisors has brokered well over $1 billion in apartment transactions across Canada. Master franchise for the largest privately held commercial brokerage in the world. Derek has and plans on establishing 40 franchises over 10 years. DALA Group of Companies is a consulting agency focused on the revenue maximization of purpose-built apartments. DALA Group advises apartment owners on how to maximize their NOI and is typically paid on performance. We conduct on-site marketing programs, feasibility studies on new apartment construction, and research market conditions to assist clients in increasing cash flow. Derek has worked in over 17 U.S. states including Alabama, Arizona, California, Florida, Georgia, Michigan, New York, Oklahoma, Pennsylvania, and Texas. Derek has worked for numerous U.S. apartment clients including Home Properties, Equity Residential, Lane Company, Flagship Properties, Pinnacle Property Management, and Village Green Companies. Well-known for his thought leadership, Derek is a captivating speaker on topics affecting the Apartment Industry, and the factors driving its future in both Canada and the U.S. Derek has spoken to several American organizations including National Apartment Association, National Multi-Housing Council, and Multi-Housing World. Derek has illustrated the power of (re)-positioning to Canadian apartment developers, investors, and owners by hosting intimate tours of key properties in prime U.S. markets. These jet-charted events provided valuable exposure to successful high-end rental apartment concepts. The book generated $100,000.00 in revenue. Represented beneficial apartment owners through the quasi-judicial rent review and application process. Hearings were conducted under the statutory procedures act. Derek became an expert in Ontario rent regulation. In the late 80’s and early 90’s Derek spent considerable time in the U.S. acquiring practical knowledge on the sales and marketing of rental apartments and brought expertise back to the Canadian marketplace. Consulting services included NOI enhancement, sales training, marketing plans, contract leasing, rental pricing strategy, mystery shopping, and filling other gaps in the rental housing industry. How to Rent Apartments Fast! A 500-page book which included two videos. The book generated $250,000.00 in sales. A training system that included 12 videos and 12 cassette tapes, along with books. The training program generated $250,000.00 in sales. In early 2000’s Derek recognised there was no functioning student housing business market in Canada and was the first Canadian (after studying the U.S. market) to enter the student housing consulting market. Derek ran his first student housing symposium in 2012 and has been responsible for the sale of over $300 million in student housing transactions. ROCK was the first brokerage firm in Canada to combine advisory services and a boutique apartment brokerage. Canada’s first Student Housing Portfolio to a division of CDP Capital (the largest pension fund in Canada). Using the same process for student housing, Derek analysed his U.S. counterparts and developed a New Apartment Construction consulting business. Today Derek A. Lobo and Associates (DALA) is the largest consulting firm in this sector in Canada. Services include new apartment construction feasibility studies for developers and lenders, project financing, strategic marketing planning, asset management, and disposition. The transaction included 13 buildings – 2,300 apartment units, a shopping centre, and a medical office building – in London Ontario. The property was bought by a major Canadian pension fund, the largest private financial equity group in Canada, and a one of the larger owner/operator/developers in the country. Watch the Cherry Hill video. 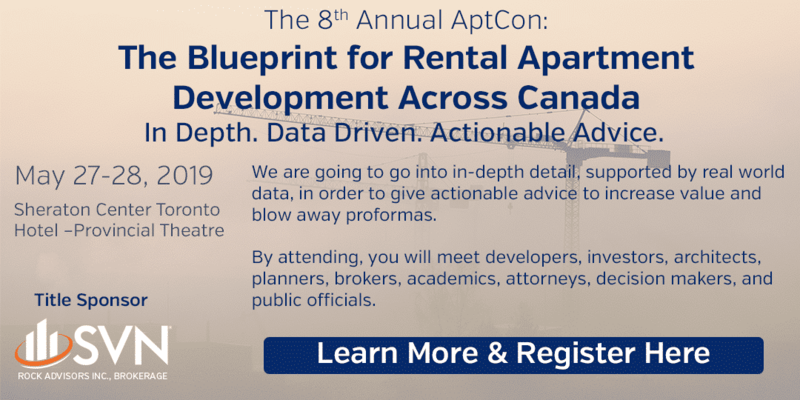 Recognising the lack of information on New Apartment Construction in the Canadian marketplace, ROCK began hosting 2-day conferences on New Apartment Construction. The symposium has established itself as an industry event in the Canadian development industry. Derek acquires Master Franchise rights for SVN in Canada. Derek recognised the commercial brokerage industry worldwide was fractured and dysfunctional and concluded that the SVN business model of transparency and commission sharing would always serve the clients needs better than the exclusive listing, non-commission sharing model that is predominant throughout the world. Derek plans on establishing 40 franchises over 10 years. 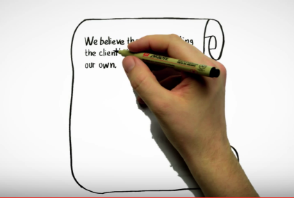 Play the SVN Difference video. SVN Rock Advisors Inc., Brokerage was established as the first SVN franchise outside of the USA. Initially, a rebranding of ROCK, SVN Rock Advisors has since incorporated the Research and Consultancy work previously done through DALA. Over 700 units at a sale price of $250 million. Watch the video of the transaction. Campus Suites, MPI Group Inc., CSC Asset Management. WAM Developments, Lanterra Developments, Empire Communities, Kaitlin Corporation, Times Group, Tribute Communities. First Capital Realty, SmartREIT, RioCan REIT. Chartwell Retirement Residences, Hines Group, Vrancor, Broccolini Group, Procura, Nearctic Development Corporation. Canada Pension Plan Investment Board, Royal Bank of Canada, KingSett Capital.